1/1st Worcestershire Yeomanry (The Queens Own Worcestershire Hussars), 1st South Midland Mounted Brigade, 2nd Mounted Division, M.E.F. The following obituary was published in the Malvern News 28/8/15: “The death is reported of Sgt Joseph Farley, Worc Yeo of enteric fever in an Alexandria hospital on 13/8/15. He was a Malvern resident and businessman for many years. He usually enjoyed the best of health. He joined the Worcestershire Regiment at an early age and served with the regiment for 8 years, he subsequently joined the Queens Own Worcestershire Hussars, and served an impressive 28 years with the Malvern Squadron. Prior to his departure to Egypt he went on a short leave to Great Malvern; and only 8 days ago his wife received a cheery letter from him. In private life, Joseph Farley was a genial man, and at convivial gatherings was the best of company. He was a talented banjoist and with his brother Mr Jack Farley often performed as “The Farley Brothers” at smoking concerts at Malvern. At the annual ball of the Yeomanry at the Assembly Rooms he was a prominent figure, being a member of the Committee and MC. 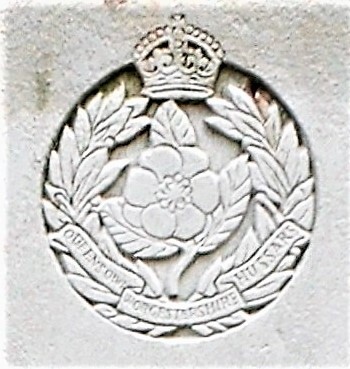 Sgt Farley served in the South African War, with the 16th Company (Worcestershire Yeomanry) Imperial Yeomanry from 8th February to the 21st August 1900. He was present at actions around Lindley, Heilbrow, Rhenoslew and Roodevaal and was awarded the Queens South Africa medal with two bars. In 1914 he is listed as a greengrocer living at Durham Cottage, back of Worcester Road (modern day Lygon Bank near the Nag’s Head). Jack Morris Farley returned to Australia on the 29th July 1919.